Stranger Things and other 80s throwback shows have created a resurgence in nostalgia for the 1980s. But where did these feelings originate from and where is it most prevalent? This video will look at Outrun, a synthwave/retrowave music scene that embodies the glory days of the 1980s (with modern sensibilities). 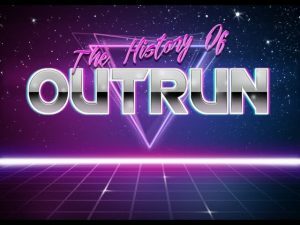 We will define what Outrun is, how it draws back its roots from early electronic music, and how it ties into video games like hotline Miami, Furi, and Far Cry. So if you enjoy classics like The Terminator or Blade Runner, or you enjoy the new school takes, then Outrun is for you. 1 Comment on "The History and Influences of Outrun(Synthwave) on Modern Games"
Squid you’ve always been my favorite youtuber.